LeDroit Park residents woke up this morning to find four to six inches of snow on the ground. Please be kind to your neighbors and shovel your sidewalks. 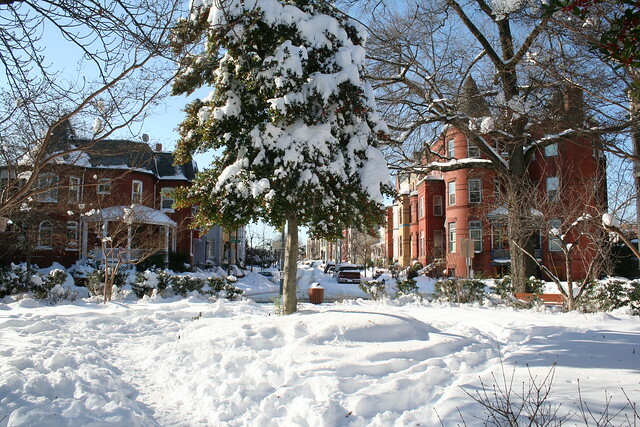 Next month DC law will change to require homeowners to shovel their adjacent sidewalks within eight daylight hours after snowfall ceases. Photo: Snowfall from the storm that buried the region in December 2009.